Raise money for the fight against cancer. Please enter "C4Life" in the VOUCHER BOX of the on-line order form and a 10% donation will be made directly to C4Life. Click HERE to learn more about C4Life. 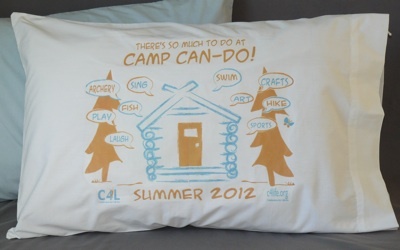 Comfy Cozy is thrilled to have created two Custom Designs Glow in the Dark pillowcases for C4Life. The first is for Camp Can Do. An amazing camp for where kids with cancer can come and have a great time at "sleep away" camp! 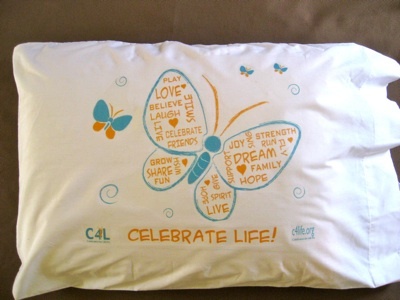 The second design is of the C4Life Butterfly Release event held annually.